If you are one of my instagram followers (and if not then click here to join in @candi_curls) Then you will have seen that this week i have been sharing with people my top products of the moment. 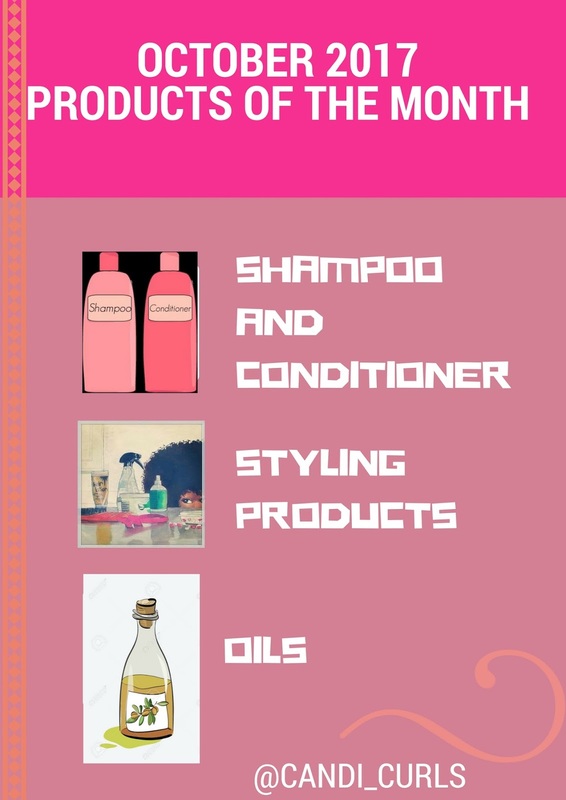 This is something which i am going to try and do every month now, keeping you updated with what i am styling my hair with. 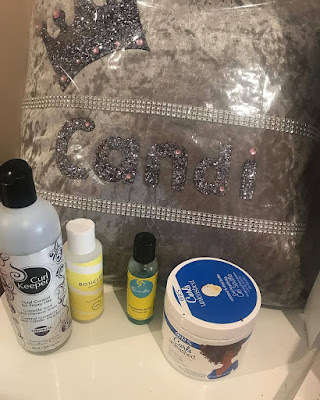 The first set of products i have been using this month are ones which i have done a full product review of this week, and so i wont repeat my self too much on this one. This cream is giving my hair life at the moment. I used this at the start of my hair journey and am now back on them again. I forgot how good it smells and my hair LOVES it. This leave-in cream provides the perfect amount of moisture without leaving my hair sticky or crispy. I had this brand on my list for so long and i was not disappointed when i tried them out. A little goes a long way with this cream and because its oil-in, it seals all the moisture in and holds the curl perfect. Again it is non sticky and crispy. I can't wait to try more from them. It is just what my hair needs especially with this change in weather. Slightly thicker than some other creams i have tried, but it doesn't weigh my hair down at all. My curls are super defined when i apply this, and smell amazing. Usually i am not one for hair gels. Gel and my hair do not mix ... however, i found that these work brilliantly with my hair giving it the right amount of hold without flaking or crisping. While i don't think that this is technically a gel, it gives my curls hold and so i have included it here as an extra one. My curls have soooooo much definition, shine and hold, it reactivates with water meaning day 2,3,4 i can just spritz my hair with a little water and not need to apply any more product. Another brand i wanted to try for so long and hasn't disappointed me either. The smell of this one takes a little longer to get used to if like me you are used to a more tropical smelling products, but the shine on this one is amazing. I can not wait to get a full sized version for my collection. I think this is in most peoples collections, but i had never tried it until a recent holiday last month with a curl friend who brought it with her. 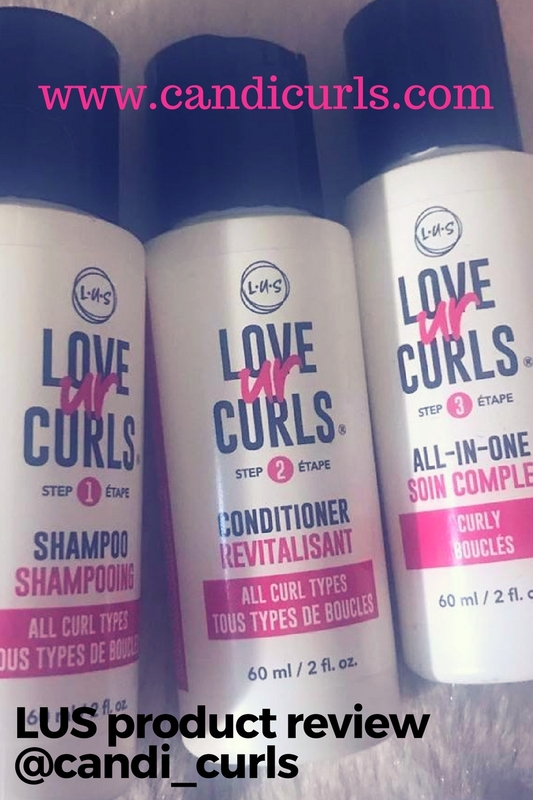 The smell is yummy and it is really light on your curls keeping them soft and defined while providing hold. I had this in my collection for so long after the company surprised me with a box of goodies. Due to past experiences with gels, i didn't use it but once i did i instantly loved it. Again it has a lovely smell and the hold and shine are spot on. I love scrunching this into the ends of my hair as a final styling product. This one has the most hold out of the gels i have discussed and so i imagine it is great for up dos. I will firstly go ahead and hold my hands up and admit, that i am VERY fussy when it comes to what i wash my hair with. After so many bad wash days, once i found a conditioner and shampoo that work for me, i stick to it. If it isn't broke, don't fix it. However i now have 2 favourites. This brand is top of my list. Never has my hair felt as soft and hydrated after shampooing, than what it has done with this one. I actually thought it was using the conditioner by mistake! The conditioner is also my number one and i love co-washing with this as well as mixing it in with my spray bottle. If you can not already tell, Cantu is taking over my list this month! I had never used these until my treasure tress box and i LOVE it. Again my hair was left feeling soft and no straw feeling shampoo usually gives my hair. The conditioner was super hydrating and my hair without product, just washing, was amazing. Not pictured, but the third brand that i will use in my hair to wash is this lemon highlights one. Link to the full review will be posted at the end. This conditioner is my go-to when i go on holiday and during the summer months. As it contains lemon, it really helps to bring out the blonde in my hair, and it helps restore moisture lost through swimming in the pool and sea while abroad. 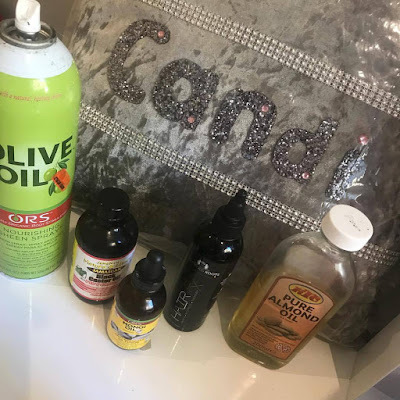 Finally the last products i shared with everyone is my top hair oils. For so long oils were missing from my routine, and now that i know the impact they have on my hair, i can not go without them. My hair is thicker, shinier and healthier since using these oils. Whether my hair is straight or curly, i have always had a tin of this sheen spray in my collection. It gives hair such a nice, healthy looking shine and it smells lovely. I don't remember a time when this wasn't in my collection, and is probably one of the first hair products i brought long before my hair journey began. This Castor oil contains peppermint which has been helping with this hair growth journey. I like to mix with into my mixture or do a scalp massage with it weekly. It has been great in helping in the areas i have alopecia aretea on my edges. The oil isn't too thick and the peppermint oil leaves your scalp feeling tingly while it stimulates the hair growth. This oil comes with a dropper which helps to apply it to the roots of your hair for massaging in. It also helps to make sure that you don't waste product by pouring too much out into your hands or hair. This is top of most peoples collections and i think will always be number one for me. If you haven't tried it yet, you really should invest in a bottle. This is hands down the best detangler i have ever used. I can mix this in my bottle with water, or pre-poo on day 5-6 hair and still be able to easily run my fingers through it super easy. It is a little bottle of magic! My favourite oil to use as a sealant. I love the shine that this oil gives your hair. So there you have my top products in each category! Information and links to full product reviews can be found below. Contact me and let me know which products in the categories YOU are using and which i should try out. If you are in the UK like me then check out www.naturalisticproducts.co.uk where you can buy righteous roots, cantu, ors, curls and curl keeper products without huge shipping prices. 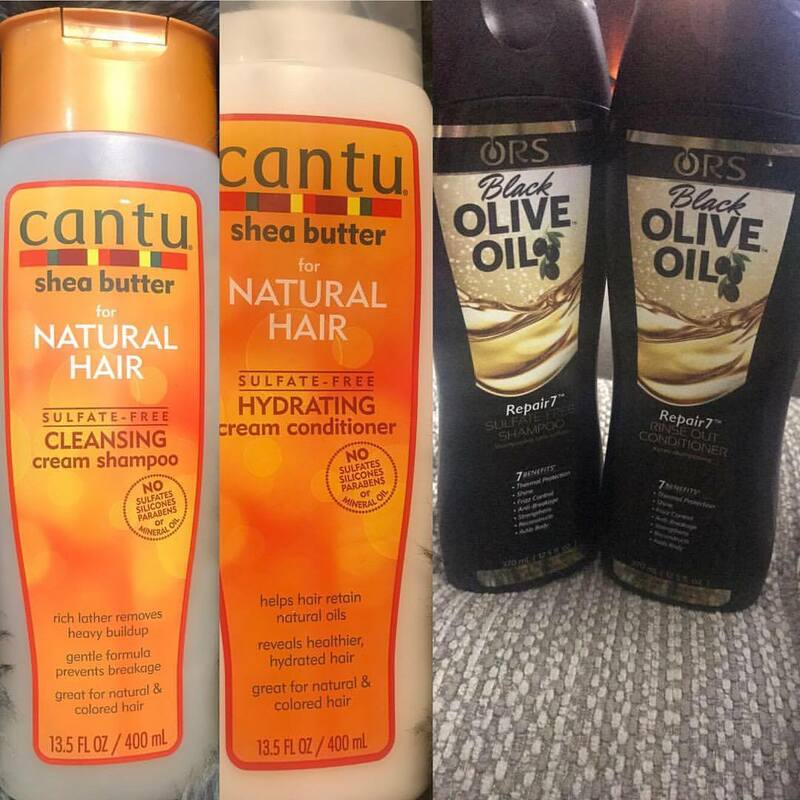 Alternatively Cantu and ORS can be found in Superdrug. 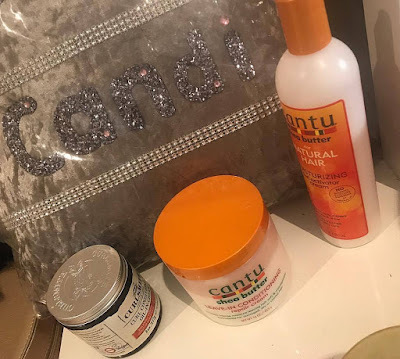 Refreshing curls | What is in the mix?